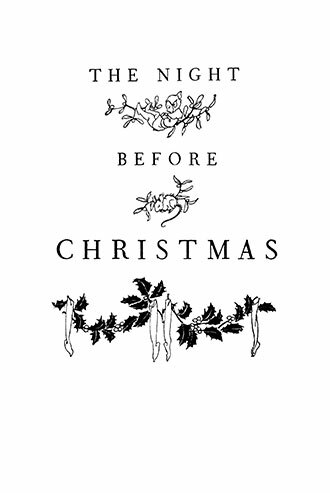 This gorgeous edition of The Night Before Christmas is illustrated by Arthur Rackham, one of the best and most loved artists in British history. 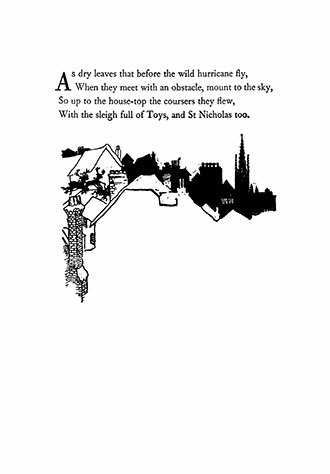 This wonderful yuletide poem, originally known under the title ‘A Visit from St. Nicholas’ is a Christmas classic. The poem is traditionally accredited to Clement Clarke Moore (1779 – 1863) and has been labelled ‘the best-known verses ever written by an American’. 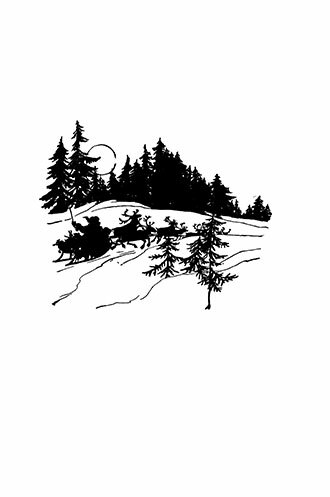 It is largely responsible for conceptions of ‘Santa Claus’ and his association with his reindeer and sleigh. 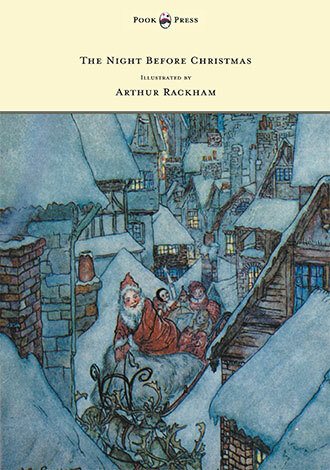 Arthur Rackham‘s illustrations capture the legend of Santa and the magic of Christmas perfectly with his beautiful watercolours and line drawings. 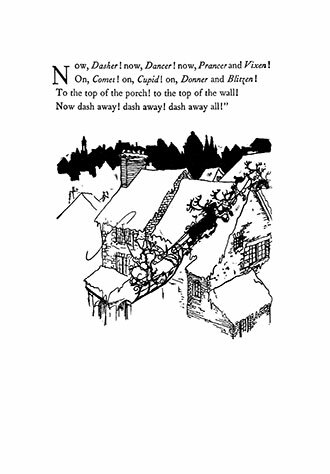 This wonderful poem has been hugely popular from the mid-nineteenth century until today and is still being read by adults and children during Christmas time. 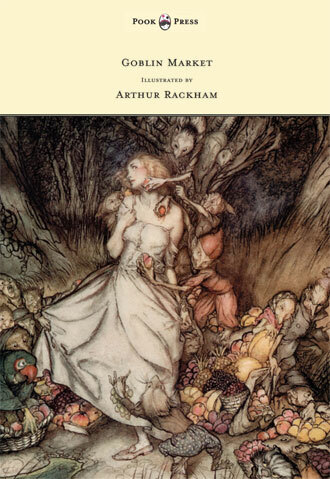 Arthur Rackham (1867-1939) was one of the premier illustrators of the early 20th Century. He illustrated many books, the first of which was published in 1893. 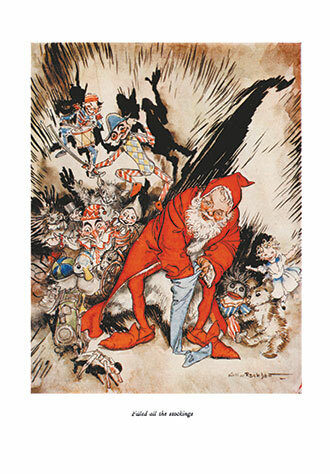 Throughout his career he had developed a very individual style that is was to influence a whole generation of children, artists and other illustrators. 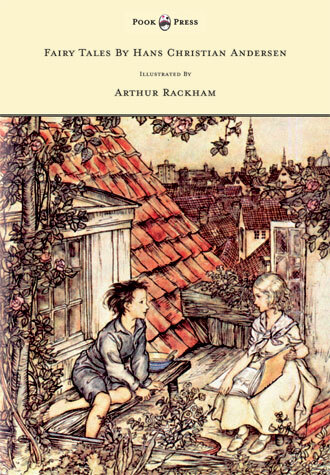 His haunting humour and dreamlike romance adds to the enchantment and fantasy of children’s literature. 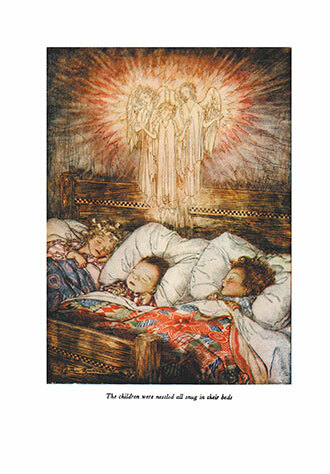 With works such as The Night Before Christmas, Pook Press celebrates the great ‘Golden Age of Illustration‘ in children’s literature – a period of unparalleled excellence in book illustration from the 1880s to the 1930s.